York Region Housing Mediation Services® is a Conflict Resolution Program partnered with the Community Legal Clinic of York Region and funded by the Federal Government’s Homelessness Prevention Strategy. Our objective is to resolve disputes between landlord and tenants and/or tenants and tenants that if left unresolved would lead to a lengthier and more expensive process at the Landlord & Tenant Board. Our Services are Free, Confidential and Voluntary. 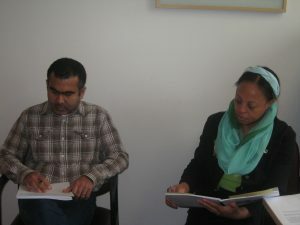 Our services aim to prevent homelessness through the traditional Conflict Resolution process when conflicts occur to the more innovating approach called Conflict Coaching for parties who may need assistance in creating skills in better managing a conflict or to de-escalate their participation to the conflict. Our mediation services are modelled after the St. Stephen’s Conflict Resolution Services. Since 1985, St. Stephen’s Conflict Resolution Services has handled over 5000 community mediation cases and have helped participants come to an agreement 80% of the time. Using our mediation services, participants will communicate more effectively and constructively with each other as well as learn new approaches to resolving future conflicts. Our team of highly trained volunteer mediators will guide the participants through a conversation where communication between both parties will remain respectful, safe, inclusive and productive. Through our process, proposed solutions are more likely to be successful and permanent.